Secretary of Defense James Mattis was at a military base in anticipation of Christmas. This particular base was one that Obama promised to close down. The President’s cabinet visits military bases to meet and greet with the troops from time to time. The Defense Secretary is always out and about, meeting troops from all over the world. This Christmas, Mattis chose to visit a base that no Defense Secretary has gone to in a long time: Guantanamo Bay. That’s right… Gitmo. Guantanamo Bay, Cuba is the location of a controversial military installation. Well, I don’t consider it controversial. Our enemies are meant to be housed there. Mattis was the first Secretary of Defense to visit the installation since 2002. That’s disgraceful all by itself. The base is a military prison for suspected terrorists, one which President Obama campaigned on closing down. The one where he let 5 prisoners go free in exchange for a traitor. You know, Bowe Bergdahl. That traitor. Obama never came through with his campaign promise. Surprise, surprise. I’m thrilled that he failed to shut down the facility. We should utilize the hell out of it. It’s a military installation, not a private one and there are no innocents housed at Gitmo, trust me. Mattis has defended the way prisoners have been treated at Guantanamo Bay, which has been called an infamous torture center. “I am confident that we’re doing the right thing here,” he said. Those prisoners are pampered… they have special meals, TV, games and all kinds of perks. If you ask me, that is just bonkers. It’s certainly not torture. Mattis recalled a conversation earlier this year with an unnamed woman who told him Guantanamo Bay was “a blot on our nation,” but when invited to accompany him to the detention center for an unannounced visit, she declined. “That shut her up. She didn’t have anything more to say to me,” he said. Mattis gave a blunt answer when asked about Guantanamo. He said, “I believe that we should develop a repeatable detainee policy that is appropriate for enemy combatants taken prisoner under such circumstances.” He supports the use of Gitmo just as President Trump does. Gitmo is necessary to the national security of America. Especially in a time of war. Mattis urged troops to set a good example for politically divided Americans and be always ready for war. Because trust me… war is now on the horizon with Russia, China, North Korea and Iran. Our troops have already been briefed in Europe on the possibility and on the Korean peninsula. Make no mistake… there will be new prisoners at Gitmo before we are done. And there should be. This moral relevancy when it comes to military prisoners is sheer insanity. The troops he saw seemed most curious about what some are calling the road to war with North Korea, whose nuclear weapons the Trump administration says pose a grave and intolerable threat. “If we have to do it (militarily), we expect to make it the worst day in North Korea’s life,” he said, adding that if war comes, “every submarine he’s got is to be sunk and every ship he’s got is to be sunk,” he said, referring to Kim Jong-Un, who has threatened to use his nuclear weapons on the US. 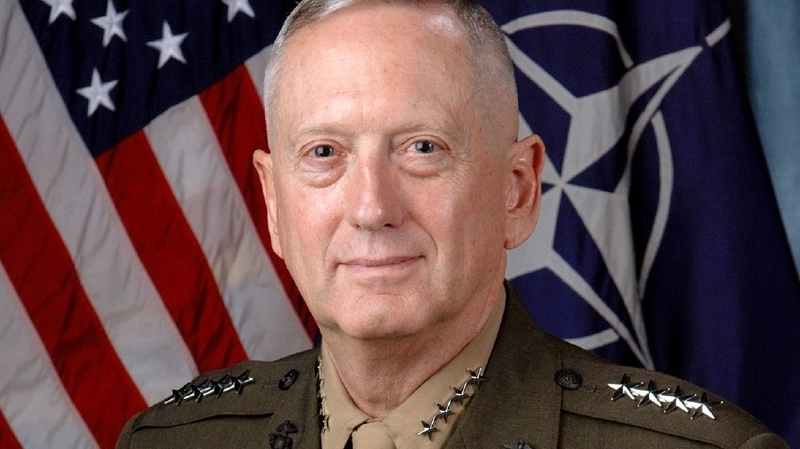 Speaking to a few dozen Marines at a rifle range, Mattis described North Korea as a “not yet imminent but a direct threat to the United States.” At another point, at an outdoor movie theater where troops and civilian staff had gathered, Mattis said that during the Cold War, US leaders had been confident that Russia and China did not want to start a nuclear war. “That may be an assumption we cannot make” with Kim, he said. Mattis has been tough on Iran in the last few days as well. He is shaping up to be a great Defense Secretary and someone who is widely respected around the administration. It’s a shame because Iran wouldn’t be as emboldened if the awful deal Obama struck with them had been scrutinized more closely. Or if Obama hadn’t released terrorists in exchange for scumbags like Bergdahl. But remember folks, Obama had a scandal-free presidency. And you’re a racist for disagreeing with him because he is half-black. But if you disagree with Ben Carson, you’re a sensible person. Get it? If you are pro-military, you are a fascist, but if you cuddle with terrorists, you are a diplomat. Welcome to the Obama two-step no more.